WPRB provides content on the Web sites located at http://www.princeton.edu/~wprb, http://www.wprb.com, http://blog.wprb.com, http://listen.wprb.com, http://www.wprb.org, http://www.wprb.net and such other sites as WPRB may from time to time in its sole discretion authorize (collectively “WPRB Sites”). Exclusive of the content provided by WPRB, the WPRB Sites may be managed, operated, or controlled in whole or in part by third parties, including without limitation Internet service providers, URL redirection services, and Princeton University (collectively “Service Providers”). Service Providers are not owned, managed, operated or controlled by WPRB. All Content is protected by copyrights, trademarks, service marks, and other proprietary rights that are owned or used under license by WPRB. Exclusive of the Licensed Music, all Content is Copyright © 1999-2009 by Princeton Broadcasting Service, Inc. All rights reserved. WPRB is a trademark and service mark of Princeton Broadcasting Service, Inc.
You may view and listen to the Content for personal, non-commercial purposes. Nothing contained on the WPRB Sites should be construed as granting, by implication or otherwise, any right to use, reproduce, copy, modify, transmit, display, publish, sell, license, create derivative works, publicly perform, or distribute by any means, method, or process whatsoever, now known or hereafter developed, any of the Content on or transmitted through the WPRB Sites, including without limitation by transferring, downloading or otherwise copying any Content onto any disk drive or other storage medium. The use of any Content on any other World Wide Web site is prohibited. WPRB welcomes links to the WPRB Sites. You may establish a link to the WPRB Sites, provided that the link does not state or imply any sponsorship or endorsement of your Web site or its contents by WPRB or by any group or individual related to or affiliated with WPRB. You may not use on your Web site any Content provided on the WPRB Sites, without the express written consent of the owner of such Content. WPRB allows you to link directly to other sites on the Internet (“Linked Sites”) operated by third parties, which may include, without limitation, our advertisers, sponsors, and Service Providers. Links to Linked Sites do not constitute sponsorship, endorsement or approval by WPRB of the content, policies or practices of such Linked Sites, whether or not affiliated with any of our advertisers, sponsors, or Service Providers. WPRB has not reviewed all of the information contained on Linked Sites. Linked Sites are not operated, controlled, or maintained by WPRB, and WPRB is not responsible for the content, practices, or availability of Linked Sites. Links to Linked Sites are for your convenience only and you access them at your own risk. Once you have left the WPRB Sites via such a link, you should check the applicable policies of the Linked Site. Information and opinions expressed on the WPRB Sites are not necessarily those of WPRB or its management, trustees, agents, independent contractors, personnel, advertisers, sponsors, or Service Providers. WPRB makes no representations or warranties regarding such information or opinions. Your use of and browsing in the WPRB Sites are at your own risk. WPRB (1) makes no warranties or representations as to the Content in the WPRB Sites and assumes no liability or responsibility for any errors or omissions therein; (2) neither warrants nor represents that your use of Content will not infringe, violate, or misappropriate the rights of others; (3) assumes no responsibility, and shall not be liable for, any damages to, or viruses that may infect, your computer equipment or other property on account of your access to, use of, or browsing in the WPRB Sites or your downloading of any materials from the WPRB Sites; and (4) does not warrant that your use of the WPRB Sites will be uninterrupted or free of errors or omissions, or that defects will be corrected. Without limiting the foregoing, ALL CONTENT PROVIDED ON THE WPRB SITES IS PROVIDED TO USERS “AS IS,” WITH NO WARRANTY OF ANY KIND, EITHER EXPRESS OR IMPLIED, INCLUDING BUT NOT LIMITED TO IMPLIED WARRANTIES OF MERCHANTABILITY AND FITNESS FOR A PARTICULAR PURPOSE, TITLE, NON-INFRINGEMENT, SECURITY OR ACCURACY. WPRB DOES NOT WARRANT THAT THE WPRB SITES OR THE SERVICE PROVIDERS THAT MAKE THE CONTENT AVAILABLE ARE FREE OF COMPUTER VIRUSES OR OTHER HARMFUL COMPONENTS. THE “AS IS” CONDITION OF CONTENT IS EXPRESSLY MADE A CONDITION OF ANY TRANSACTION ARISING THROUGH OR AS A RESULT OF THE WPRB SITES. YOU AGREE TO DEFEND, INDEMNIFY AND HOLD HARMLESS WPRB FROM AND AGAINST ANY AND ALL CLAIMS, LOSSES, DAMAGES, LIABILITIES AND COSTS, INCLUDING WITHOUT LIMITATION REASONABLE ATTORNEYS’ FEES AND COURT COSTS (COLLECTIVELY, “CLAIMS”) ARISING OUT OF OR RELATING TO YOUR BREACH OF THIS AGREEMENT OR YOUR USE OF OR ACCESS TO THE WPRB SITES, EXCEPT TO THE EXTENT SUCH CLAIMS DIRECTLY RESULT FROM WPRB’S GROSS NEGLIGENCE OR WILLFUL MISCONDUCT. THE FOREGOING INDEMNIFICATION OBLIGATION SHALL SURVIVE TERMINATION OF THIS AGREEMENT OR OF ANY SERVICE PROVIDED BY WPRB TO YOU. UNDER NO CIRCUMSTANCES SHALL WPRB BE LIABLE TO YOU OR ANY PERSON ACCESSING THE WPRB SITES OR TO ANY OTHER PERSON FOR ANY DIRECT, INDIRECT, CONSEQUENTIAL, INCIDENTAL, SPECIAL, OR PUNITIVE DAMAGES, WHETHER IN CONTRACT OR IN TORT, INCLUDING NEGLIGENCE, ARISING IN ANY WAY OUT OF (1) ACCESS TO OR USE OF OR INABILITY TO USE THE WPRB SITES OR CONTENT, (2) ACCESS TO OR USE OF OR INABILITY TO USE ANY LINKED SITE, OR (3) ACTS OR OMISSIONS OF ANY SERVICE PROVIDER, INCLUDING WITHOUT LIMITATION ANY LOST PROFITS, BUSINESS INTERRUPTION, LOSS OF PROGRAMS OR OTHER DATA ON COMPUTER SYSTEMS OR OTHERWISE, EVEN IF WPRB IS EXPRESSLY ADVISED OF THE POSSIBILITY OF SUCH DAMAGES. This Agreement is effective until terminated by WPRB. WPRB may terminate this Agreement without notice and at any time. In the event of termination, you are no longer authorized to access the WPRB Sites, and the restrictions imposed on you with respect to the Content, and the disclaimers, indemnities, and limitations of liabilities set forth in this agreement, shall survive termination. WPRB recognizes the importance of protecting the privacy of personally identifiable information collected about visitors to the WPRB Sites. As a general policy, no personally identifiable information, such as your name, address or e-mail address, is automatically collected from visitors to the WPRB Sites. Personally identifiable information about visitors to the WPRB Sites is collected only when knowingly and voluntarily submitted. We may collect certain non-personal information, including but not limited to the identity of your Internet browser, the type of operating system you use, your location, and the domain name of your Internet service provider. We may use such non-personal information for purposes including but not limited to improving the content of our sites, marketing, advertising or research purposes. -WPRB will notify you when we are collecting personally identifiable information about you. For example, we may need to collect such information to provide you with information or a product you requested, in connection with contest entry forms or for billing purposes, or in connection with community postings such as chat and bulletin boards. 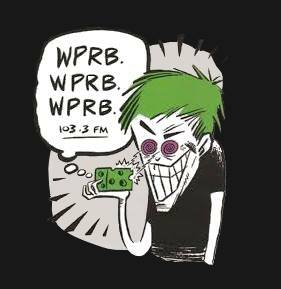 -WPRB is not responsible for the privacy policies or practices of our advertisers, sponsors, Service Providers, or other third parties. -WPRB may use personally identifiable information in aggregate form to make the WPRB Sites better and more responsive to the needs of our visitors. This statistical compilation of non-identifiable information may also be used by WPRB or provided to others for marketing, advertising or research purposes. WPRB reviews this Agreement periodically and reserves the right, at its sole discretion, to modify this Agreement at any time and without prior notice. You are responsible for reviewing the WPRB Sites periodically for any modification to this Agreement that may affect your rights or obligations hereunder. You agree that you shall be deemed to be apprised of and bound by any modification by WPRB to this Agreement. No modification to this Agreement by any party other than WPRB shall be valid or enforceable against WPRB unless expressly agreed to by WPRB in a writing signed by a duly authorized officer of WPRB. WPRB shall not be liable for nonperformance or delay in performance caused by any event beyond WPRB’s reasonable control including, but not limited to, acts or omissions of Service Providers, equipment failure, war, strikes, lock-outs, unavailability of supplies, fire, flood, or any other Act of God, any law, regulation, ordinance, or other act or order of any court, government or governmental agency or delays, unavailability, errors or other failures of the Internet or other data networks. WPRB makes no representation that the Content is appropriate or available for use in any location other than New Jersey. Use of or access to the WPRB Sites shall not be construed as WPRB’s purposeful availment of the privilege or benefits of doing business in any state other than New Jersey. Any party who chooses to access the WPRB Sites from a location other than New Jersey does so on his or her own initiative and shall be responsible for compliance with all applicable state or local laws. This Agreement shall be governed by, construed, and enforced in accordance with the laws of the State of New Jersey, without regard to conflict of law provisions thereof. The section headings used in this Agreement are for convenience only and shall have no legal force or effect. In any matter connected with the WPRB Sites or this Agreement, the parties hereto consent exclusively to personal jurisdiction in the United States District Court for the District of New Jersey, or if that court lacks subject matter jurisdiction, in the courts of the State of New Jersey. This Agreement is the entire agreement between the parties relating to the matters contained herein. If any provision of this Agreement shall be unlawful, void, or for any reason unenforceable, then that provision shall be deemed severable from this Agreement and shall not affect the validity and enforceability of any remaining provisions. The offices of WPRB are located in Princeton, New Jersey. If you want to communicate with WPRB about this Agreement, or to change any personally identifiable information you have submitted to WPRB, you may write to WPRB at 30 Bloomberg Hall Princeton, NJ 08544. Last updated July 24, 2015.